It doesn’t matter whether you have an office that is seen by customers or one that is just visited by coworkers. Keeping a clean office is vital. 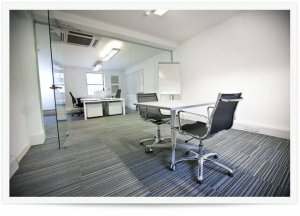 While it might not seem like a top priority, getting your office carpet cleaned has huge advantages. Sometimes office spaces can require even deeper cleaning than usual. 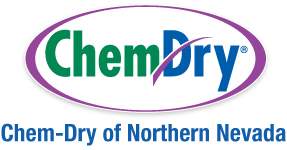 Professionals like Chem-Dry of Northern Nevada (shameless plug) are more than capable of cleaning things you don’t have time for. This will also keep your office free of dust and allergens. As a matter of fact, our cleaning process removes up to 98% of common allergens from carpet and upholstery. In addition, it removes 89% of all airborne bacteria. This improved air quality will lead to overall health benefits. Why clean? From the floors to your keyboard, from the door handles to the bathroom, your office can get pretty gross over time – and we’re not just talking dirt. Grime like dust, dander, bacteria, and allergens collect virtually everywhere. It is important that you clean regularly, even if you have a small office. Promote professionalism. If your office building has constant visitors, you want to make sure they are seeing it clean and professional. It’s true that many customers will subconsciously decide based on the appearance and feel of your business. Increase the trust of current customers and earn the trust of new customers by maintaining a clean work environment. Psychological benefits. Employees are one of the most important parts of a business. As Americans. we spend an average of 33% of our lifetimes working! Think of how many years that is just being in an office! (Sorry to bum you out…). Give your employees a clean space to spend their time. They will be happier working there and will experience less stress. It increases morale as well! Boost productivity. You may think that everybody is too busy to stop and clean. However, when you consider all the benefits, and the downside to NOT cleaning, isn’t it worth it to clean? Especially when you can have a professional do it for you, like Chem-Dry of Northern Nevada. Not only will the cleaning be done professionally and quickly, but you’ll get a much deeper clean. Chem-Dry of Northern Nevada Commercial Carpet Cleaning Services in Reno, NV. Commercial carpet cleaning is what we do best! Because we want our customers to be happy and satisfied, we’ve spent years perfecting our commercial carpet cleaning process. Plus, our cleaning methods are fast, and the carpets dry in a few short hours, allowing you to get right back to work. Ready for a cleaner office? Get a FREE online price estimate today!